Parents who are also educational researchers have access to a domain that is highly complex and not always available to other scholars. In this book, parent-researchers provide theoretical and practical insights into children’s learning in the home and at school. Readers are given a window into learning in the home context and how all family members organize or engage in that learning. 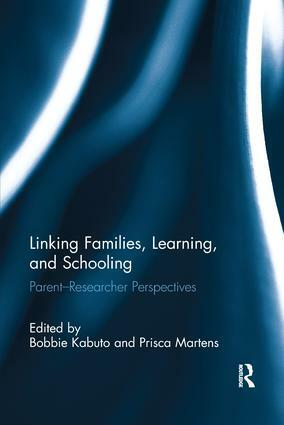 Working on two levels, the book develops scholarly discussions about learning in the home (how is it organized, who the participants are, and what children are learning), and it illustrates the impacts that outside institutions, in particular schools, have on families It is unique in showcasing parent-research as a type of research paradigm with particular aspects and challenges. Both teachers and researchers can learn from these studies as they show the impact that schooling has on families and how institutional discourses and beliefs can both positively and negatively affect the dynamics of any family. "This is a foundations text which contributes to the literature in family studies, literacy and language development, and school-home relations. . . . The parent researcher aspect of the book is unique." "The language stories in this book will expand the thinking of teachers, researchers and other educational professionals and raise new questions for further research. At the same time for those new to these ideas, these stories are a wonderful place to begin to consider the power of understanding the complex process of learning in homes and in school." Bobbie Kabuto is Assistant Professor of Literacy Education in the Department of Elementary and Early Childhood Education, Queens College, City University of New York, USA. Prisca Martens is Professor in the Department of Elementary Education at Towson University, USA.